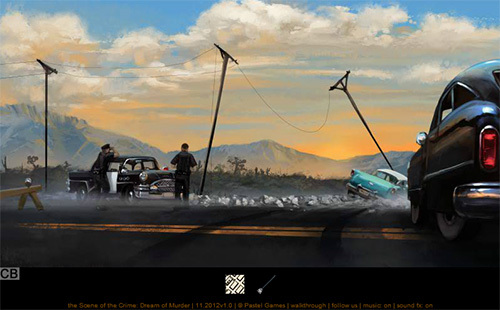 Description The Scene of the Crime: Dream of Murder is a murder mystery adventure game from Pastel Games. You discover a body in the trunk of a crashed car, and it's up to you to solve the case. Interact with the crime scene and gather evidence that will lead you in the right direction. Awesomely drawn 3rd part of the point&click detective quest series! Cool story and everything.